A community as complex and vibrant as Gill St. Bernard’s School does not happen by accident. It takes communitywide engagement and a commitment to a program that prepares our students for the world’s complexities. At GSB, our goal is to support and promote the design and development of programs and initiatives that embrace diversity, inclusion and equity throughout our school community. We offer a rich cultural experience through age-appropriate presentations, performances, professional development, cross-cultural conversations, and student groups. Every member of the GSB community is afforded the resources and opportunities to explore, partner and engage in all aspects of diversity, inclusion and equity in and out of the classroom. 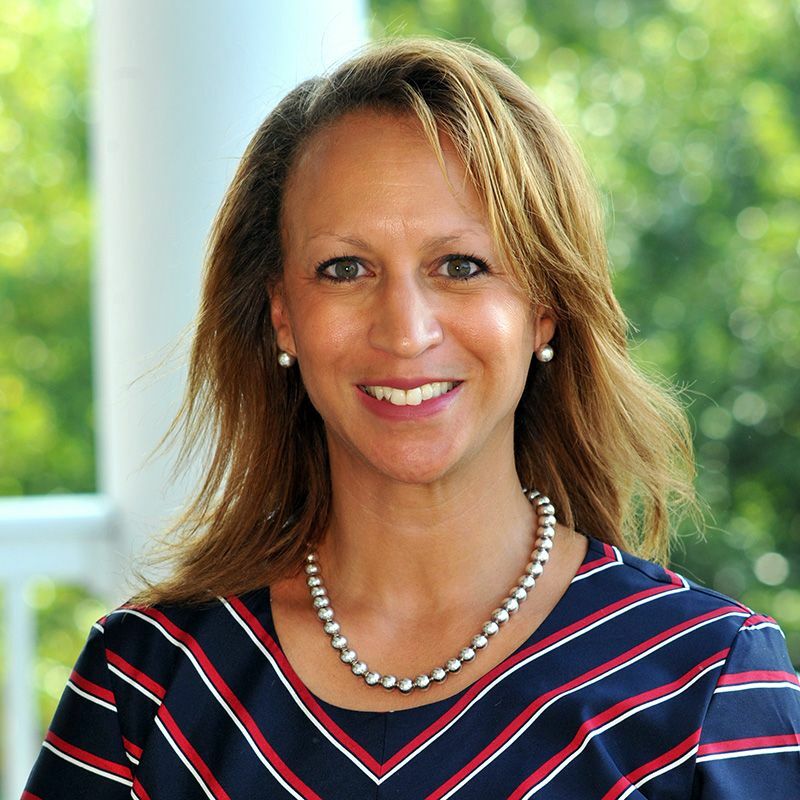 Our Director of Diversity and Multicultural Affairs Tracey Goodson Barrett serves our school community by providing leadership, resources and information on issues related to diversity, inclusion and equity. These essential elements are critical in our admissions practices, faculty and staff recruitment and development, curriculum design, student life and leadership. Making sure the voices in our community are heard is paramount to our commitment to educational excellence. We welcome your input and constructive suggestions to advance our diversity initiatives to create a rich and welcoming environment that is engaging for all. We affirm that a diverse community of students, faculty, administration, staff, trustees and alumni is essential to who we are as a school. We respect and value diversity, which includes but is not limited to, race, ethnicity, religion, national origin, family structure, age, physical ability, sexual orientation and socioeconomic background, as the basis for fostering a strong sense of self, community and global understanding. GSB is mission-driven to be an inclusive, multicultural community that respects individual differences, inspires commitment to one another and prepares students for the colleges, workplaces and neighborhoods of their futures. Recognizing that diversity is essential for creating an environment that is conducive to excellence in education, GSB fosters and supports meaningful diversity throughout our school and community by deepening our students' understanding of differences in race, ethnicity, religion, gender, sexual identity, ability, age and socioeconomic status. Gill St. Bernard's School believes that a school community should reflect a variety of ethnic, racial, economic, religious and social circumstances; all are fundamental to a 21st century education. Among its core values, Gill St. Bernard's affirms that a diverse learning community of students, faculty, administration, trustees, alumni and staff is an essential element to who we are as a school. Beginning with the early childhood program and culminating in the Upper School, GSB students respect and value individual differences, seeing them as the basis for fostering a strong sense of self, community, and global understanding. Deutschman, Alan. "Change or Die," Fast Company (May 2005). Gladwell, Malcom. Blink: The Power of Thinking Without Thinking (Boston: Little Brown and Co., 2005). Tatum, Beverley Daniel. “Why Are All the Black Kids Sitting Together in the Cafeteria?” (Basic Books, 2003). The Director of Diversity & Multicultural Affairs is charged with ensuring that diversity, social justice, and inclusivity, as foundational philosophies, are integrated throughout the community and curriculum at Gill St. Bernard's School. The Director of Diversity & Multicultural Affairs works closely with the administration, faculty and staff, students and parents toprovide strategic leadership in the area of diversity, based upon the school's mission and long-range plan. The diversity of our community is matched by our emphasis on multicultural education and our ongoing focus on the lived experience of our students and teachers inside and outside the walls of the school. At Gill, we are aware that we live in a global community and that contributions to our society have come from every corner of the globe and every strata of society. At Gill, we prepare our students to live in the world. Lower School focuses on self -discovery and inclusiveness as children grow into an awareness of community. Even our youngest members consider probing questions and are taught to respect diverse viewpoints. Assemblies spotlight world cultures, outside presenters enrich the curriculum, and promote discussion of important topics. Middle School focuses on identity development and the intentional building of community. Within the advisory and health curriculum, extracurricular programs as well as several community service experiences, dialogues about gender, race, bullying, responsibility and social justice move students to examine their lives, question assumptions, and imagine the future. Upper School stresses contribution, commitment, activism and global vision. All ninth-grade students attend the seminar course emphasizing personal responsibility, cultural competency, and media literacy. Clubs such as Gill For Diversity, Gender Equality Club, Gay Straight Alliance and several community service programs foster dialogue around diversity and inclusion as well as support activities that promote equity. Local and national student diversity leadership conferences such as the annual National Association of Independent School (NAIS) Student Diversity Leadership Conference and Lead for Diversity help students step confidently into the larger world. Faculty and Administration join forces to envision and implement diversity efforts at Gill. The Director of Diversity is a resource on diversity issues for faculty and staff in their work with students and in their development of curriculum and programs. The Director of Diversity leads professional development workshops, initiates programs, advises student groups and collaborates with parents and faculty. Parents support the mission of the School both at home and through active participation in school programs. The Director of Diversity & Multicultural Affairs works closely with parents to organize discussions, readings, presentations and dialogues with students and families. The Parents' Association meets with the Director of Diversity throughout the year to envision programs and share concerns. Families new to the School benefit from outreach and orientation provided by the Parents' Association.